After a month now we're seeing another Google's upcoming smartphone leak. The Google Pixel 3 XL, but now that drought is coming to an end. 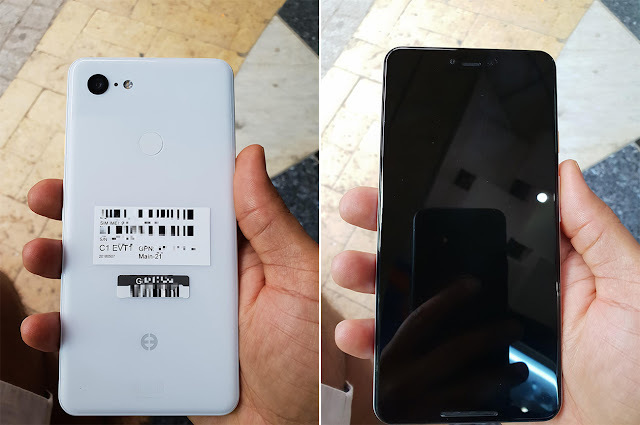 Photos that allegedly show the Pixel 3 XL have made their way online. Shared by xda-developers forum user “dr.guru”, the shots depict a device with an all-white backside that has a single camera, fingerprint reader, and a logo we’ve seen on previous Google prototype hardware. Around front we can see a chin below the display and a notch up top that may house dual front-facing cameras. 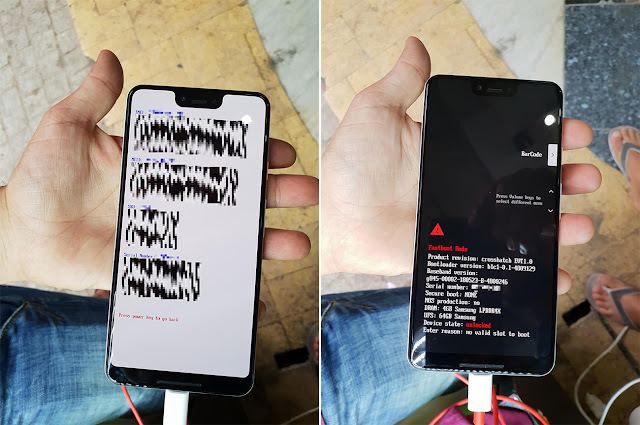 Unfortunately, dr.guru says that their Pixel 3 XL doesn’t boot because it was remotely erased by Google, so we don’t get any images of the software. The fastboot screen does include the codename “crosshatch”, though, and it also mentions that the phone has 4GB of RAM and 64GB of storage. Rumors have also suggested that Google will offer a product called the Pixel Stand for its Pixel 3 and Pixel 3 XL. According to Android Police, the accessory will utilize the glass near the top of the phone’s backside and will let you use Google Assistant to ask questions and perform actions while the phone is locked on the Pixel Stand. Details on Google’s new Pixel 3 XL are still light, but rumors have said that it’ll have stereo speakers. It’s also rumored that the new Pixel phones will launch in October and that Verizon will once again be the exclusive U.S. wireless carrier for them. Nothing is official until Google says it is, but it’s looking increasingly likely that the Pixel 3 XL will jump on the notch trend. That may be disappointing for some people, but it’ll be interesting to see what Google does with the dual front-facing cameras that’ll be housed in that notch. And hey, if you really don’t care for the notch, it’s expected that the smaller Pixel 3 will be notch-less.